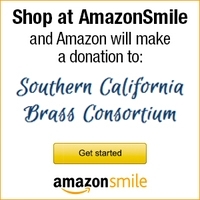 The Southern California Brass Quintet is made of members of the Southern California Brass Consortium. SCBQ performs at events across the Southland. We play all styles of music, from jazz to dixie to classical. We are available for corporate functions, weddings, bar mitzvahs, galas, fundraisers, parties, and any other event where you desire the exceptional sound of brass. For more information or to request a quote, please call (217) 820-9346.